There are many explorable caves throughout California. Sequoia has upwards of 240 known caves -- many discovered in the last decade. Lava Beds National Monument has over 700 caves. Some of these caves are accessible for the public, requiring no special tools or navigational needs, others are hidden and unmarked, requiring navigational and map reading skills. For this list of locations, let's discuss the most accessible caves -- those that are easily accessed by public and well maintained trails or are found on guided tours. The most extensive cave region in California with over 700 caves! Located in California's northeastern region, the monument is near the Medicine Lake Volcano. There are 25 lava tubes with marked entrances for public access and exploration. The lava tubes in the monument are the most extensive in the Cascade range, with an estimated age of 30,000 to 40,000 years old. There's also an astonishing archeological site, Petroglyph Point, which includes some of the largest Native American (Modoc people) rock art in the US. The overall wilderness includes nearly 30,000 acres of wilderness with over a dozen major trails (3 long, 10 short). A marble karst cave within the Sequoia National Park, one of the 240 known caves within the park. Located in the Giant Forest area, the cave is accessible by park-guided tours only, which must be purchased at the either the Foothills or Lodgepole Visitor Center. 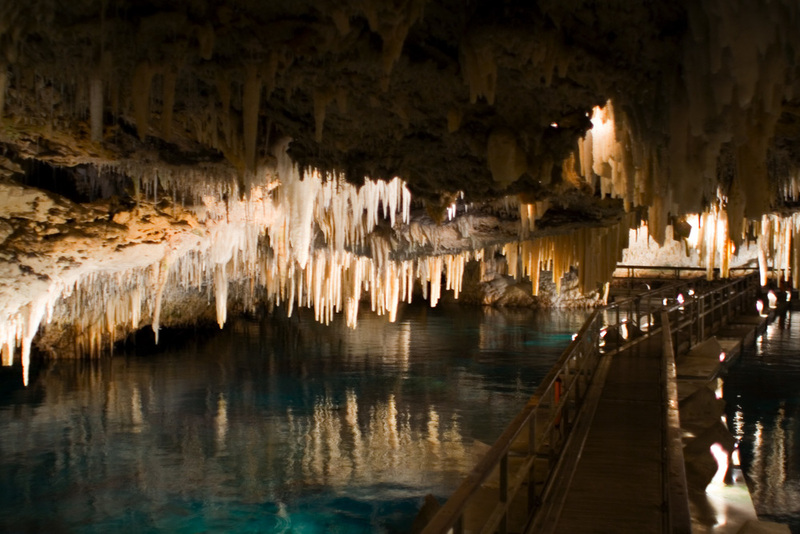 Beautiful curtains of crystal formations and standing pools give the cave an eerily artistic quality. A must see the next time you're in Sequoia National Park. There are plenty of other caves within Sequoia, but the National Park Service keeps a tight lip on the locations of other caves for obvious reasons, the crystal formations are grandma's China fragile. Keep in mind that 17 of the 240 caves in Kings Canyon and Sequoia have been discovered since 2003. The latest, Ursa Minor, is considered one of the most spectacular in California and will likely never be open for the public, says the National Park Service. Located in the brutal and beautiful Anza Borrego Desert State Park in San Diego County, the caves were formed by water flowing through thick silt deposits. There are at least 22 known caves with some exceeding 1,000 ft length. Many of the caves are accessible to the public. Though it's highly recommended you seek quality cave entrance maps to help navigate the area, found at the visitor's center. Many entrances are difficult if otherwise impossible to find without an accurate map. Some of the more popular caves include Big Mud Cave, Chasm Cave, Plunge Pool Cave and Carey's Big Mud Cave. Tragically the cave is temporarily closed due to wilderness fires, you can keep an eye on the reopening progress via the Boyden Cave blog. Located within Kings Canyon National Park means this cave is less touristy with far less people than Sequoia. The cave features rare shield metamorphosed limestone formations with spectacular mineral stalactites, called speleothems. This is another guided tour cave, but nevertheless an enjoyable experience for families and people looking to escape the heat. Tours typically last around 45 minutes, have accessible friendly handrails and cool lighting throughout the cave. A super chill experience for people who want to see a spectacular cave, but are fearful of potential claustrophobia or uncertain accessibility. Another National Landmark, Black Chasm Cavern was formed by carbonic acid eroding the subterranean marble bedrock. 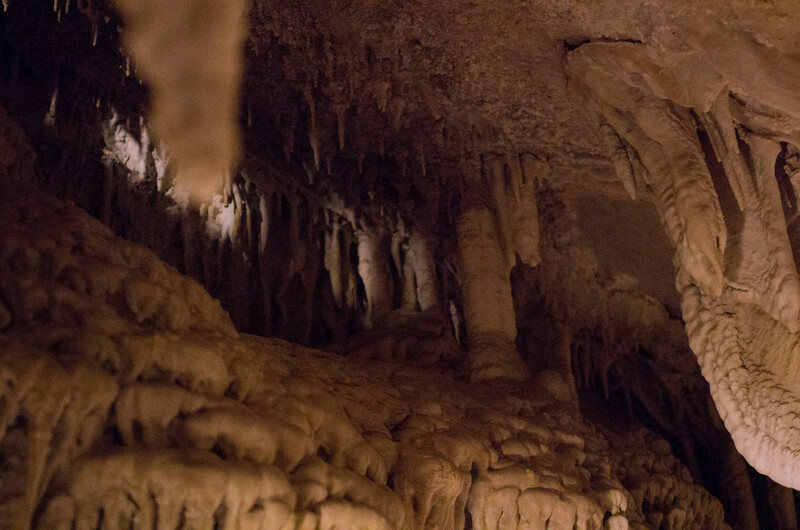 Beautiful calcite formations in stalactite (from the roof) and stalagmite (from the ground) ornament the cavern. 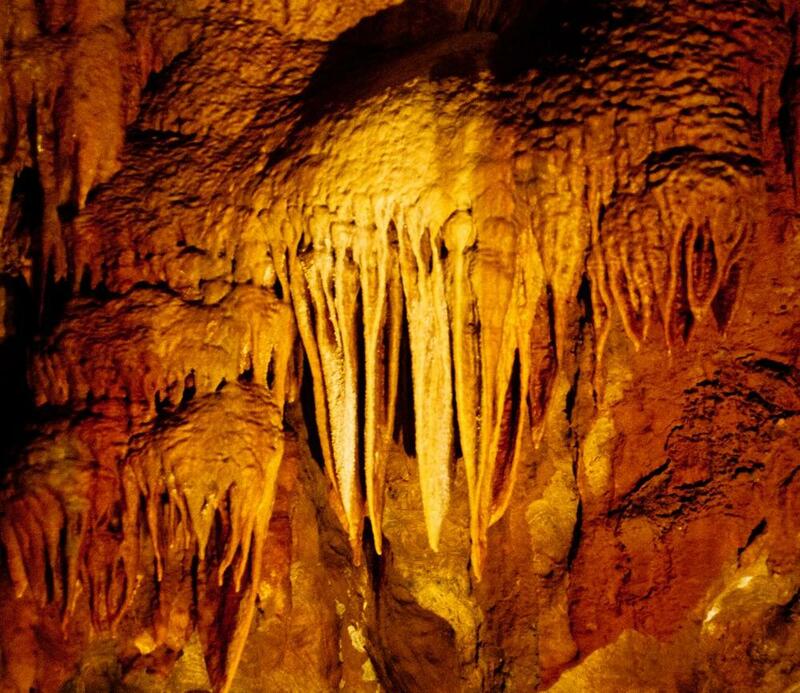 Other fascinating formations in the cave include columns, flowstone, draperies, ribbons, angel's wings, cave bacon, soda straws, helictites, false floors and other strange shapes create a beautiful and varied subterranean landscape. The lakes within the cave teem with blind and pigment-lacking life adapted to the total darkness. The total length of the cave is 3,135 ft and the depth, including the lake, is 225ft. Included in the spectacular Pinnacles 9 mile trail loop, though there are shorter loops which lead to the cave (but seriously, take the 9 mile loop) at the newly promoted Pinnacles National Park. Pinnacles National Park was formed by the eroded leftovers from a long extinct volcano. The best time to visit is in spring and fall as the summer months typically bring intense heat to the area. The "cave" is actually rock fall that has covered the trail, it's a great mid-day refuge, especially when you've mistakenly shown up on a 100+ degree day. 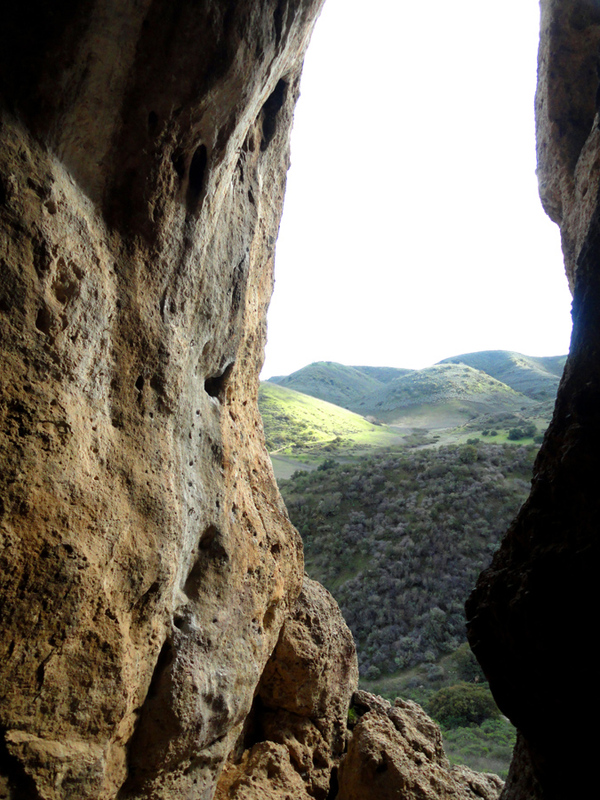 Located on the 2.6 mile trail loop in the gloriously intimate Upper Las Virgenes Canyon Open Space Preserve, the Cave of Munits is a scramble up a steep rock formation to enjoy a spectacular, towering cathedral like formation. It's easy to see why the Chumash view this as a spiritual place. Though moderately littered with broken glass and wall vandalism, the cave is still a spectacular capstone to the hike loop. Another easy 2.5 mile round trip hike leading to a great view and fascinating wind-eroded sandstone formation. Smaller than the other caves on the list, the day hike offers a quick escape on a longer trip with trails that leading to greater ascents, like the Gaviota Peak Trail and the Las Cruces Trail. Free access. Profile and map of Santa Cruz island's Painted Cave. Click to enlarge. Source. One of the largest and deepest sea caves in the world. Santa Cruz Island is part of the Channel Island National Park chain. The quarter mile deep, 100' deep Painted Cave features an entrance ceiling of 160 ft tall and is named for the colorful lichens, algae and mineral deposits that adorn the cave. If you show up in spring, you'll likely spot a waterfall spilling over the cave entrance. Though difficult to access, the only way to reach the cave is charter a boat and paddle some kayaks into the cave. If you're planning on visiting the Painted Cave, I highly recommend camping in the National Park at the Scorpion Bay anchorage; bring some snorkeling gear and enjoy the clear visibility and copious ocean wildlife. At night during the summer, one can see blue bioluminescent algae on the ocean surface offering a transcendental experience for first time witnesses. Let us know in the comment section about your favorite adventure destinations and caves. One of our favorite spring activities is taking drives up the local ranges and exploring the area with day-hikes. If you find this resource interesting, check out our pieces on famous California drives: Rites of Passage and our favorite road trip: the Grand Tree Tour.